Everyone thinks that food that is rich in protein costs more. 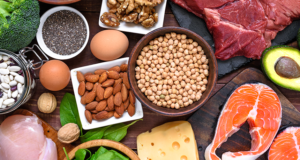 But not every food is expensive, there are some affordable and always available foods that are rich in protein that you can add in your daily diet if you are trying to lose weight. Eating healthy is one of the best ways to cut some weight especially if you add proper exercise to it. Healthy food that is rich in protein can help you stay healthy and can also protect you from serious health problems that are caused by fats. If you are trying to cut some weight, make sure you eat less fatty foods, fresh vegetables, fruits, and protein-rich foods. In this article, AIR will list 6 inexpensive sources of protein that can help you lose weight. Eggs are the most available and one of the cheapest sources of protein that you can buy anywhere. You can easily add eggs in your daily diet, they are nutritious and delicious. Eggs are not only rich in protein, but they are also rich in vitamins B-2 and B-12 who plays a big role in your energy and helps your red blood cells. Lentils are not expensive, though they are not really rich in protein but when eaten together with rice, lentils create a complete protein. Lentils are also rich in fiber and folate which can help you with your metabolism and digestion. Lentils like kidney beans, normal beans, and chickpeas can easily be added in your diet plan. Milk contains 2 types of protein which are caseins (80%) and whey (20%). Both whey and caseins are high-quality proteins, according to some researches that were done, both whey and caseins contain essential amino acids that can support multiple roles of proteins in one’s body. A glass of milk or a milk smoothie is a must every day if you are trying to cut weight. Yogurt is a food that you should really add in your diet plan. Yogurt is a nutrient-dense food that full with Calcium, Potassium, Protein, and Vitamin D. Adding yogurt in one of your meals every day can help you reach your daily protein needs, and it is affordable too. Cottage Cheese is not really a food that offers a lot of protein, but it is a food that is packed with essential nutrients that can help you lose weight, cottage cheese is usually used by athletes in their weight loss plans. One cup or 226 grams of cottage cheese gives you 28 grams of protein. Chickpeas are a good and cheap way of getting protein in your diet plan. They are also good for your digestive system and can help you control your weight. In recent studies, chickpeas were seen helping to control and lowering body cholesterol level. Note: The article above is just a suggestion that you can follow. This is not a substitute for any medicine that you are currently taking. If you are having any health related problems, make sure that you consult a doctor before changing your diet.